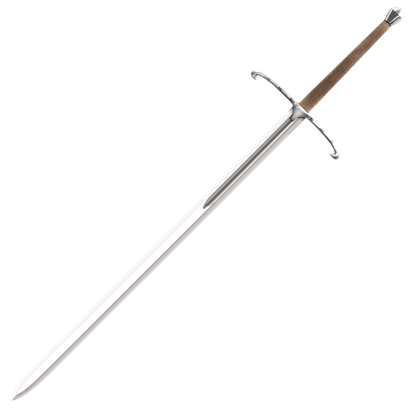 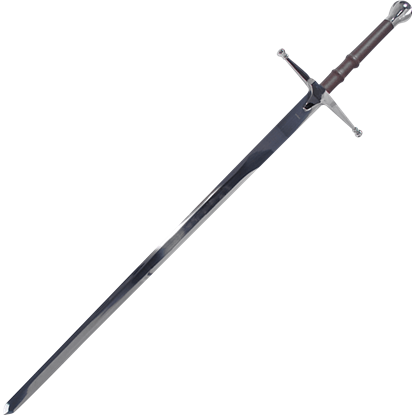 An Anglicization of the Gaelic claidheamh-mor, or Great Sword, the claymore is a Scottish version of the medieval two-handed longsword. 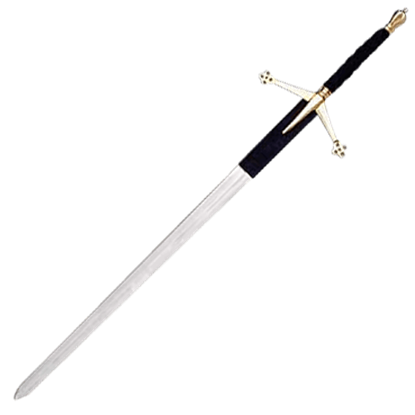 Used during the 15th to 17th centuries, traditional claymores feature crossguards that sloped down towards the blade with quatrefoils at the end of the quillons. 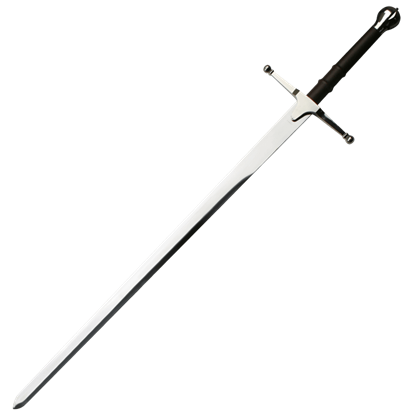 The large size of this Scottish sword required the wielder to use both hands, making them symbols of strength and skill. 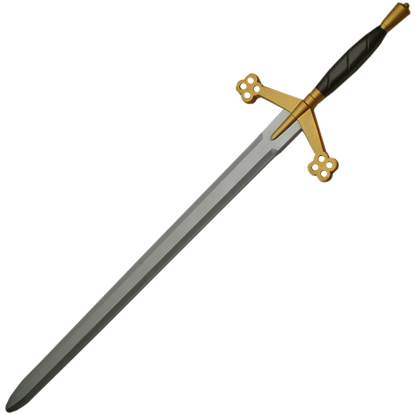 As the classic Highland sword, two-handed claymores are well-associated in pop culture and history with the Wars of Scottish Independence and figures such as William Wallace and Robert the Bruce. 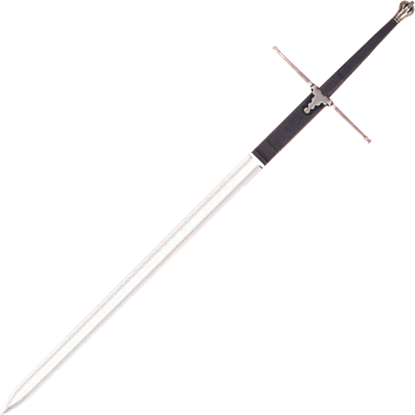 At Buying a Sword, you can find many excellent claymore replicas for purchase. 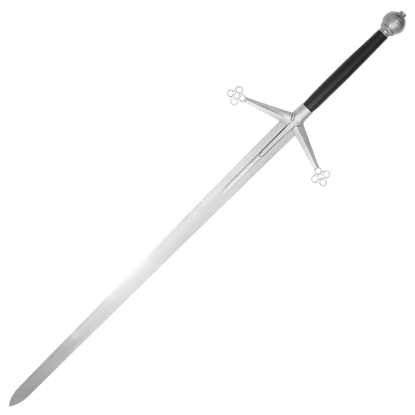 We carry functional claymores and decorative claymores crafted by top manufacturers like Hanwei, Ritter Steel, Windlass, Stage Steel, Legacy Arms, Darksword Armoury, and Deepeeka. 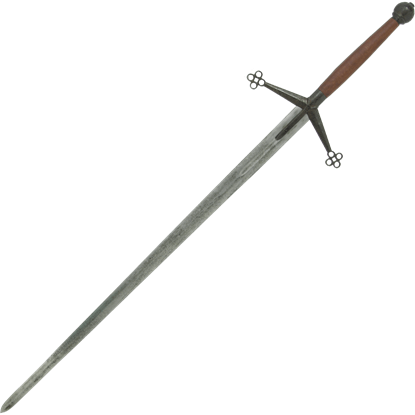 Many of our medieval claymores have blades upwards of 40 inches, making them impressive swords to put on display or use in training. 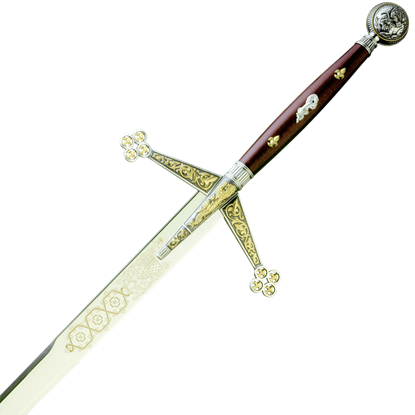 Several of the ornamental claymores feature 24K gold plating, ornate engravings, and other eye-catching elements. 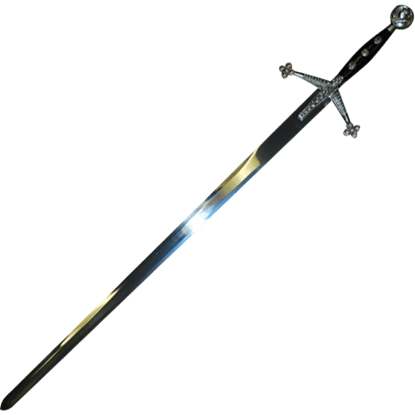 Whether you want a battle ready claymore or a unique collectible, you can find many great options here at Buying a Sword! 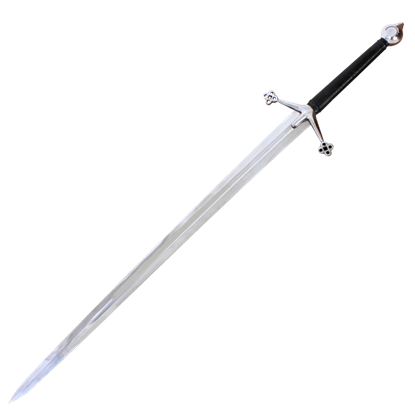 A two handed sword is not just for intimidation. 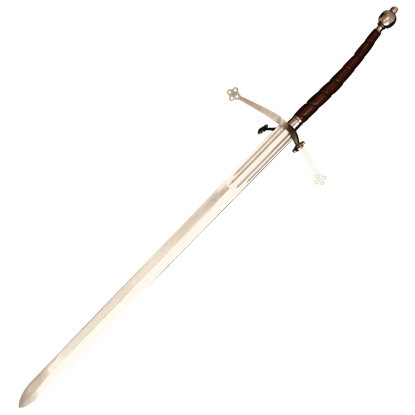 As the wielder of this Scottish Claymore with Scabbard will find, they are also powerful weapons, ones that by virtue of size and weight lend powerful impact to every swing.